Either there's an ornithology conference in Baltimore today along with #GSA2015 or the Ravens have a home game. Then, the newest members of GSA Fellowship were called up one-by-one to shake the hand of GSA President Price. 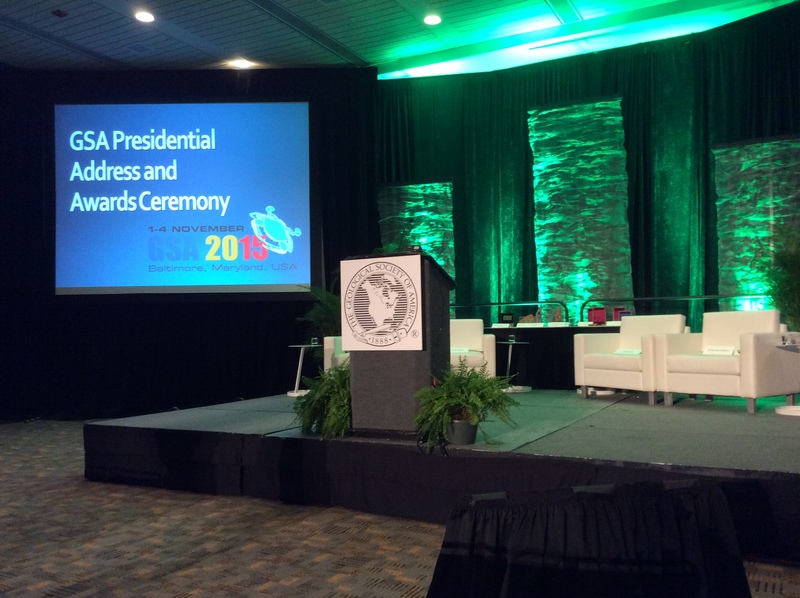 I was honored to be one of 73 GSA members that were elected to society fellowship. 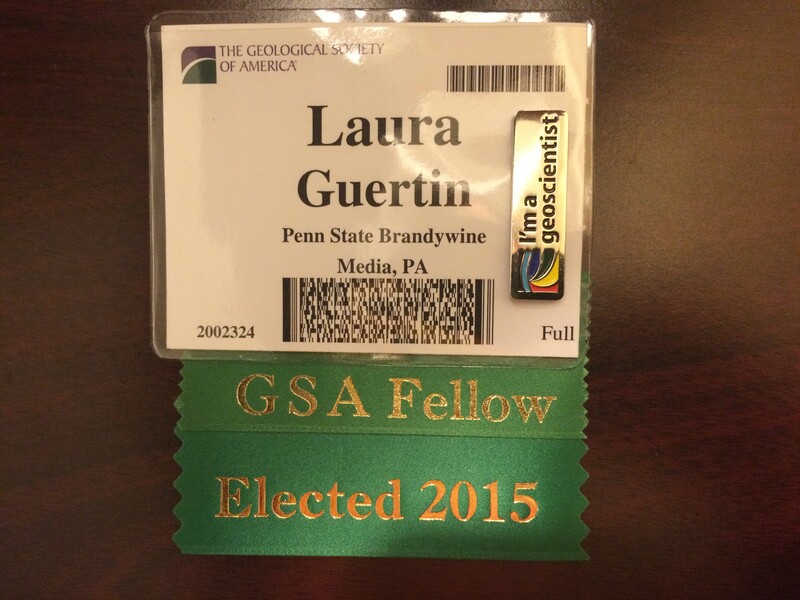 What does it mean to be a GSA Fellow? My evening is being spent catching up on emails I’ve missed all day, reviewing a NSF proposal, and getting ready for Monday at GSA – never a moment of down-time at a conference!